These custom fabricated two stage water inlets are an option to solving limited clearance bottom inlet restrictions. These are only available for two stage pumps with bracket spacing between the bodies. These parts are cast and fabricated from 316 stainless steel. 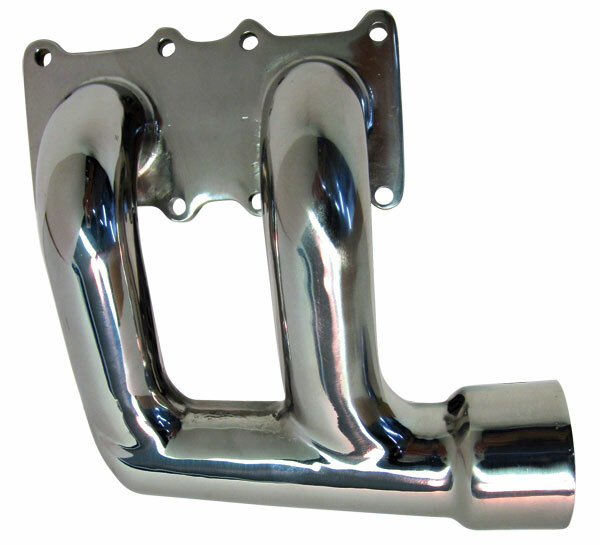 The inlet features a 1-1/4” NPT female water inlet.